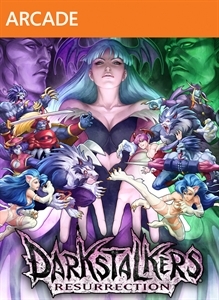 Darkstalkers Resurrection updates to two games for the price of one - Night Warriors: Darkstalkers Revenge and Darkstalkers 3. 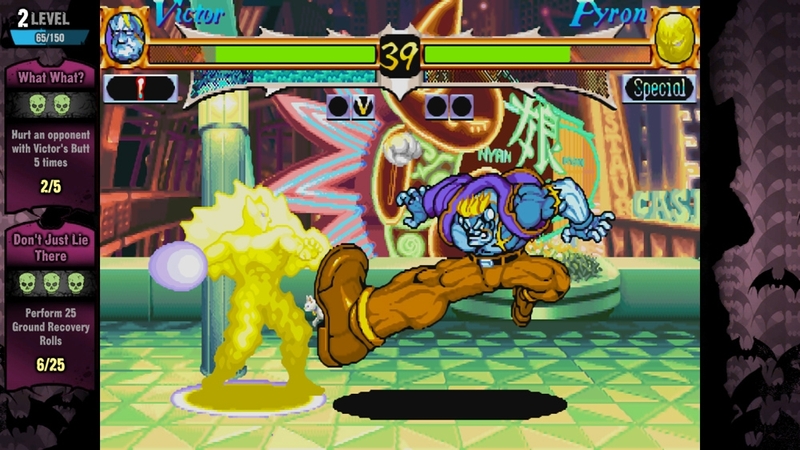 These feature classic gameplay and unique characters as well as a host of new features, including a variety of HD visual modes, online play with 8-player lobbies, YouTube replay sharing, improved challenge modes, dynamic awards, and unlockable extras. Embrace the dark! 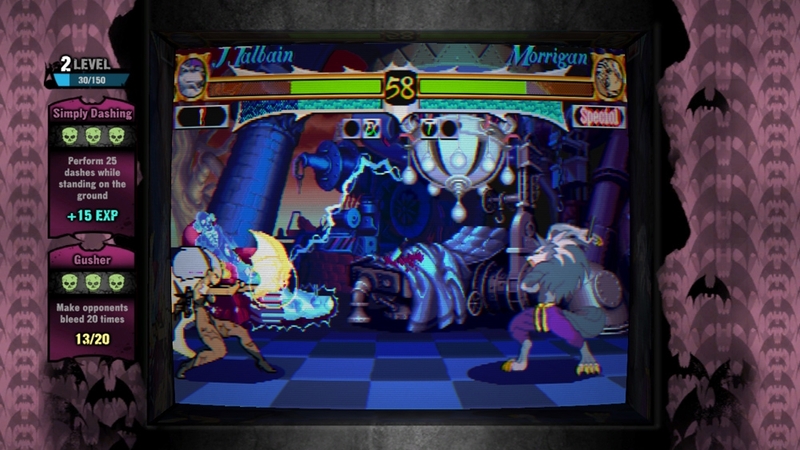 Customize the look of your arcade cabinet view mode with this skin based on the corpse-built monster, Victor. 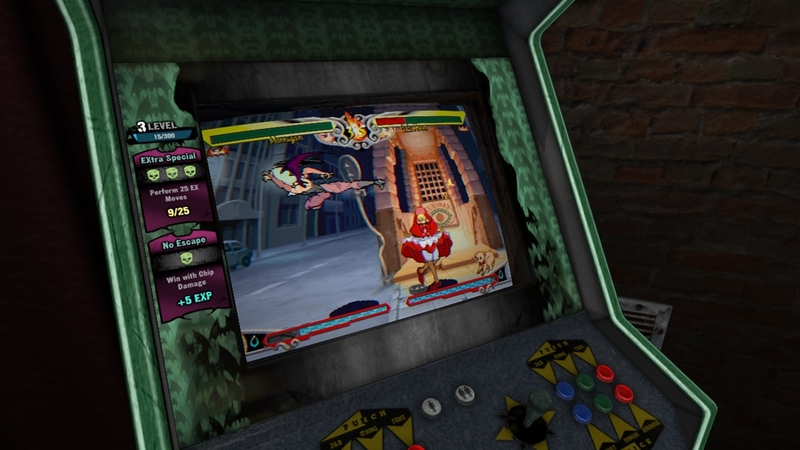 Customize the look of your arcade cabinet view mode with this skin based on the sultry succubus, Morrigan. 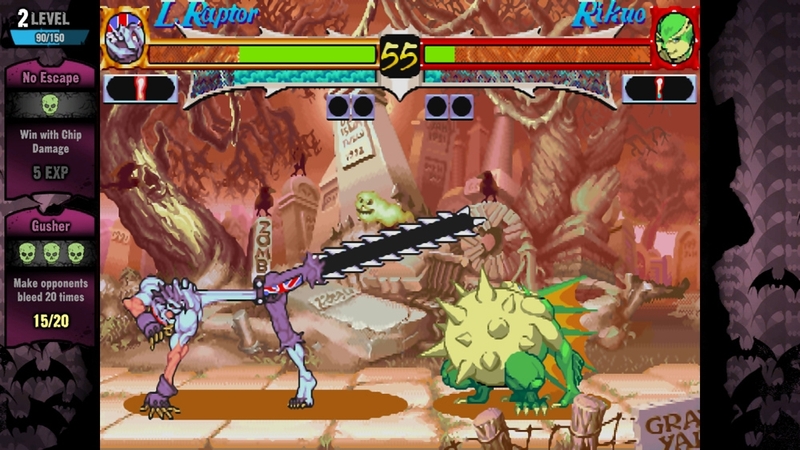 Customize the look of your arcade cabinet view mode with this skin based on the rock-and-roll ghoul, Lord Raptor. 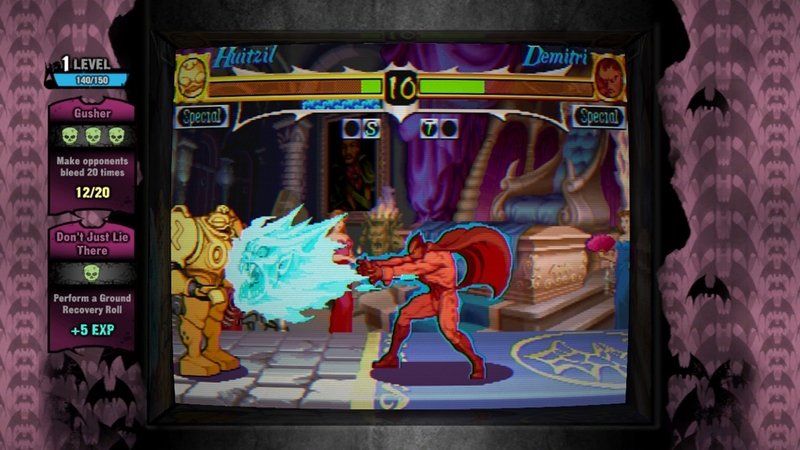 Customize the look of your arcade cabinet view mode with this skin based on the half-vampire hunter, Donovan. 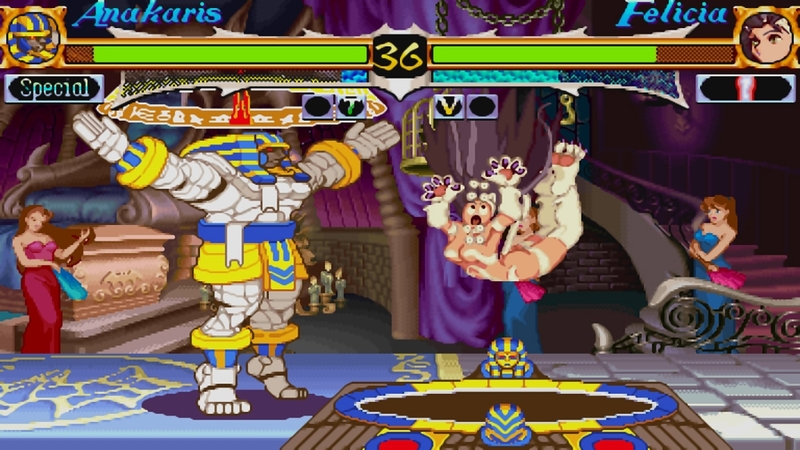 Customize the look of your arcade cabinet view mode with this skin based on the mysterious mummy, Anakaris. Customize the look of your arcade cabinet view mode with this skin based on the bloodthirsty vampire, Demitri. Customize the room your arcade cabinet view mode is in with this theme that makes it look like a laid-back pool room. Customize the look of your arcade cabinet view mode with this skin based on the fiery alien, Pyron. 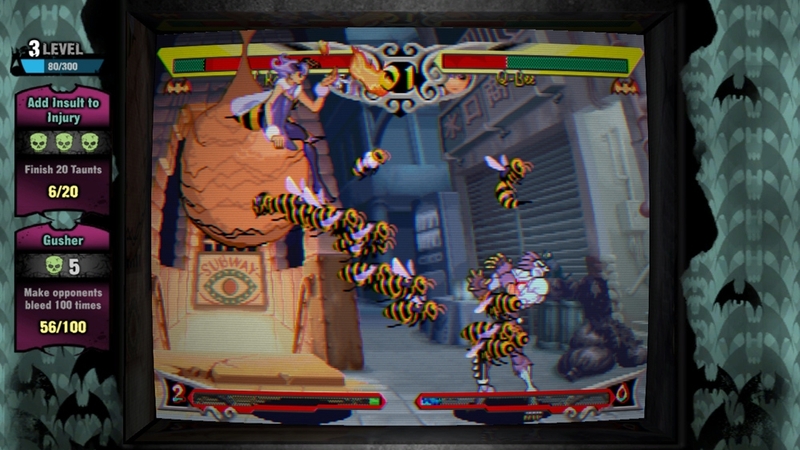 Customize the look of your arcade cabinet view mode with this skin based on the soul-eating insect, Q-Bee. 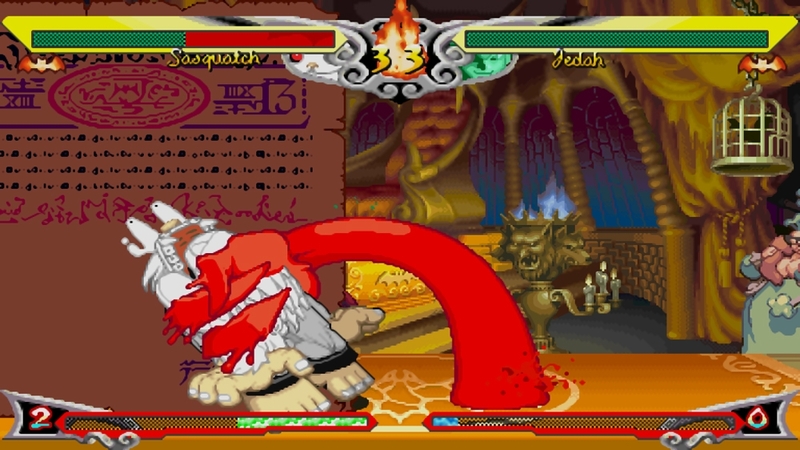 Customize the look of your arcade cabinet view mode with this skin based on the Lord of Death, Jedah Dohma. Customize the look of your arcade cabinet view mode with this skin based on the slippery merman, Rikuo. Customize the look of your arcade cabinet view mode with this skin based on the cold, caluclating robot, Huitzil. Customize the look of your arcade cabinet view mode with this skin based on the dancing catgirl, Felicia. Customize the room your arcade cabinet view mode is in with this theme that makes it look like a dignified mansion. 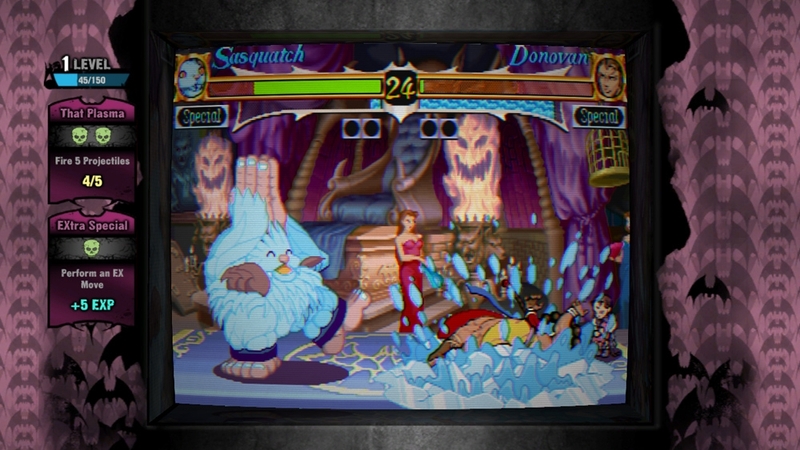 Customize the look of your arcade cabinet view mode with this skin based on the mighty bigfoot, Sasquatch. 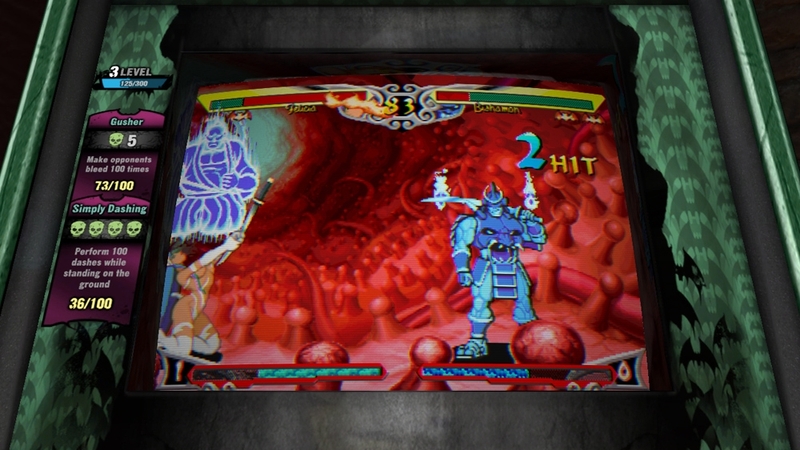 Customize the look of your arcade cabinet view mode with this skin based on the cursed samurai, Bishamon. Customize the look of your arcade cabinet view mode with this skin based on the evil Darkhunter, B.B. Hood. 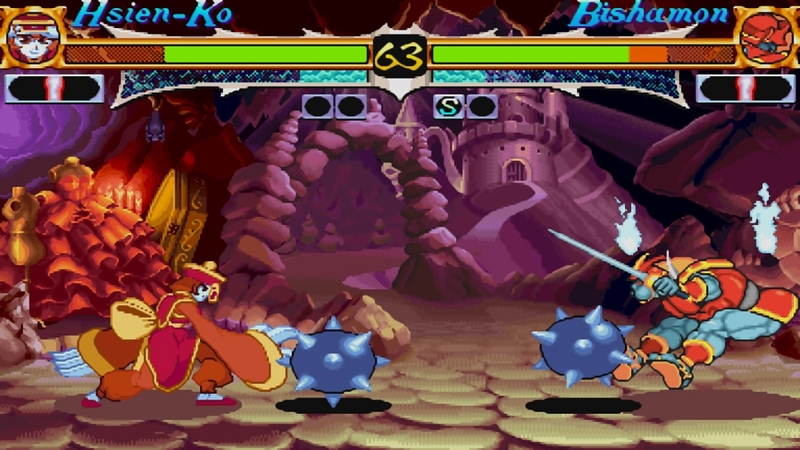 Customize the look of your arcade cabinet view mode with this skin based on the jiang-shi, Hsien-Ko. 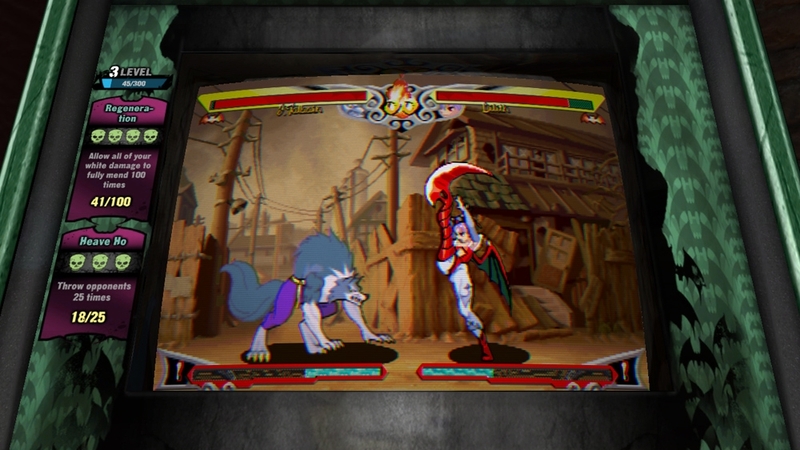 Customize the look of your arcade cabinet view mode with this skin based on the werewolf martial artist, Jon Talbain. 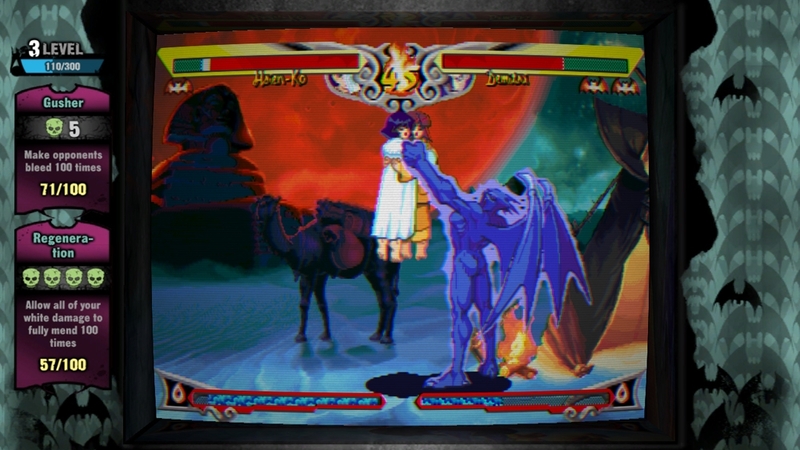 Customize the look of your arcade cabinet view mode with this skin based on the younger succubus, Lilith.